So when I heard about Babette, and how it serves waffles, waffles and waffles, I knew I had to try it. And boy, was I right. 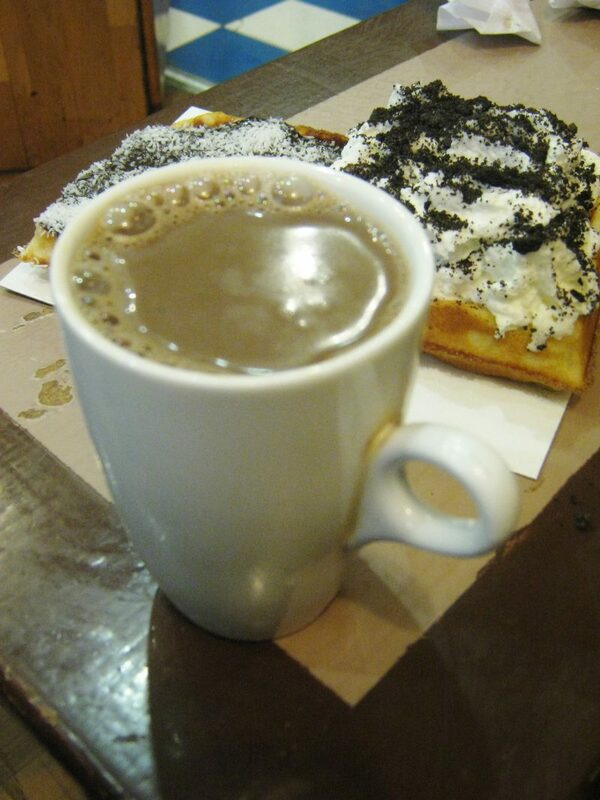 Aside from waffles, Babette also serves a variety of hot and cold drinks, from a sinfully delicious hot chocolate to cider, coffee and lemonade. 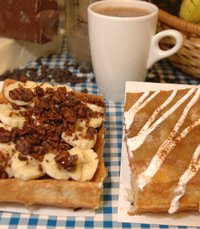 And of course, endless waffle toppings, including chocolate sauce, whipped cream, dulce de leche, apple sauce and sour cream or cinnamon cream cheese. Then come the additions: nuts, bananas, fruit and more. The standard order is two connecting waffles, so you can cover half with one concoction and half with another. 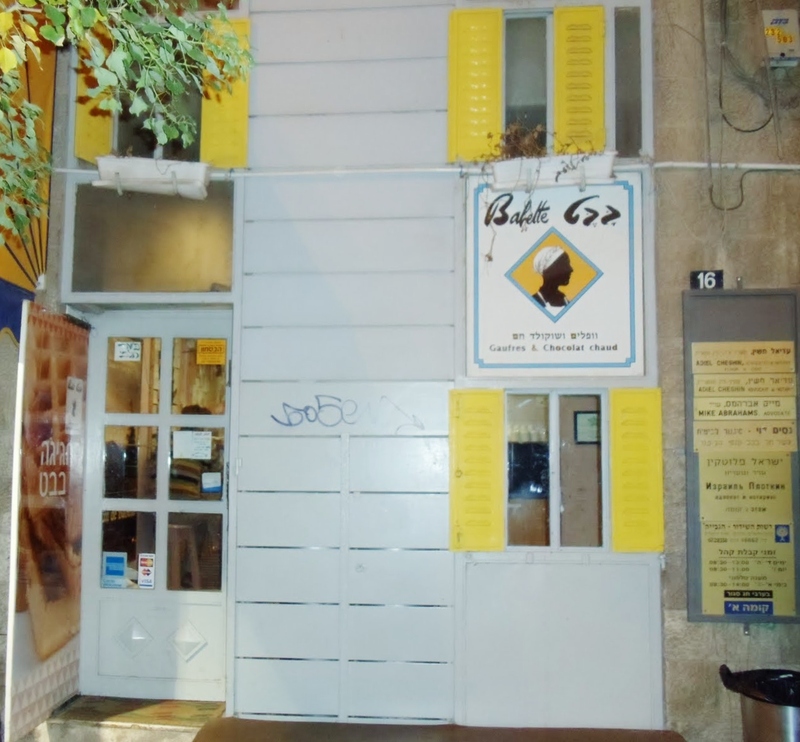 Tucked away in a small, unassuming storefront in downtown Jerusalem, Babette is the kind of thing you hear about from friend s more than stumble upon one evening. Once you’re inside, there are about five seats, tiny tables to balance your drink on if you can’t complete it in one shot and about enough room to make a full turn in. Oh, and did I mention they have no cutlery or plates? Babette is only for those willing to get chocolate (and whipped cream) all over their fingers. Enough talk about attitude, the important thing is the waffles. And important they are. Rich, thick, cooked fresh right in front of you and topped with whatever your heart desires (and yes, they’ll make recommendations), this is one midnight snack or decadent dessert you don’t want to pass up. 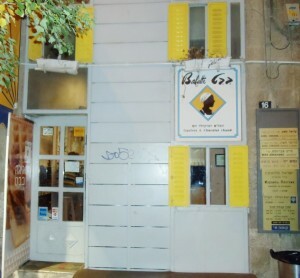 A waffle just topped with powdered sugar is 16 shekel, with the rest of the sauces it ranges from 23 to 27 shekel, and toppings from 4 shekel (grated chocolate or coconut) to 10 shekel for ice cream.